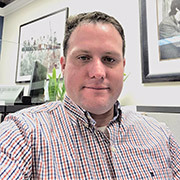 Mathew Hazan - Wolfsohn Accounting and Advisory Services, Inc.Wolfsohn Accounting and Advisory Services, Inc.
Mathew Hazan has spent the last 12 years working in public accounting. He worked with various industries servicing small to medium sized businesses. Additionally, Mathew has prepared thousands of personal income tax returns, represented hundreds of clients in tax examinations and tax resolution matters. Mathew is an Enrolled Agent (EA) with the Department of the Treasury. Focusing on continuous learning, Mathew is a member of The National Society of Accountants, National Association of Enrolled Agents and the American Society of Tax Problem Solvers.